Showtime recently announced in a press release that it has acquired the rights to Sign O’ The Times, a rare Prince concert film that hasn’t been seen on American TV in over a decade and has never been issued on DVD. 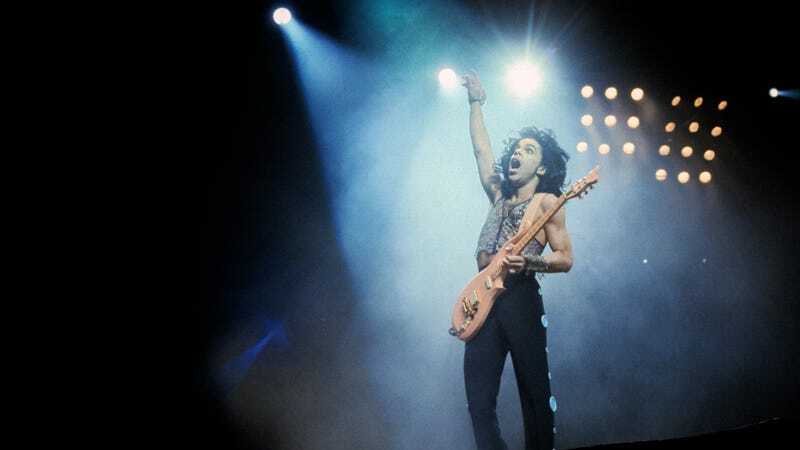 Originally created as a “companion” to the 1987 album it shares a name with, the documentary includes performances of “U Got The Look,” “If I Was Your Girlfriend,” “I Could Never Take The Place Of Your Man,” and what the press release calls a “striking rendition” of “Little Red Corvette.” The documentary was directed by Prince himself, and it was filmed at his Paisley Park Studios and while on tour in the Netherlands and Belgium. Sign O’ The Times will air on Showtime on September 16, but it’s unclear if there are any plans for a proper DVD release after that.